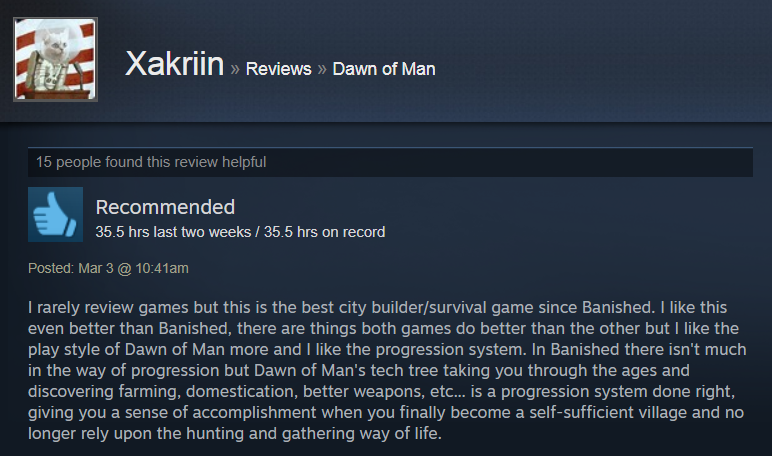 Since the dawn of video games — and possibly even the dawn of man — human beings have been creating city-building games. It’s fitting, then, that the latest genre hit is set in prehistoric times and called Dawn of Man. 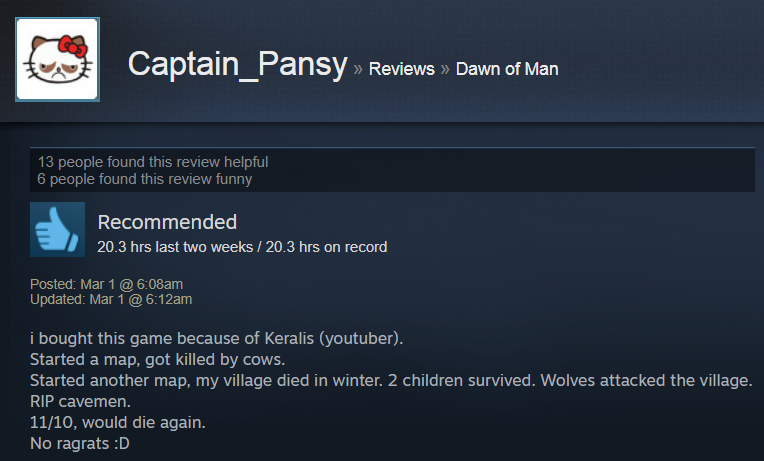 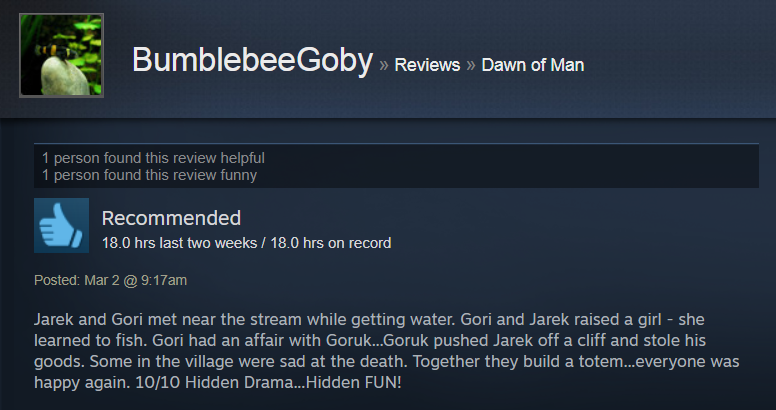 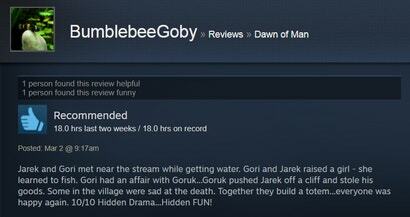 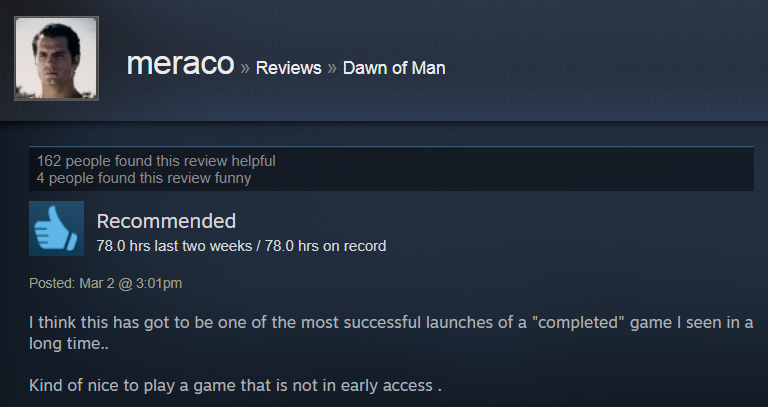 Steam users are loving it. 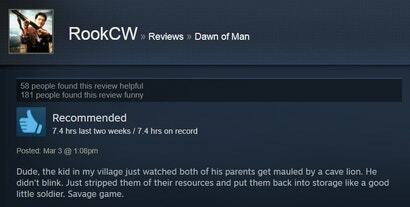 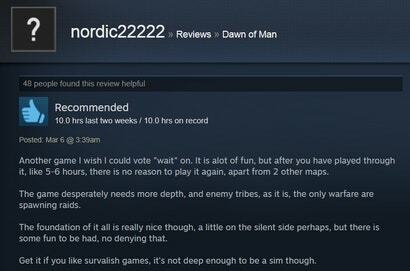 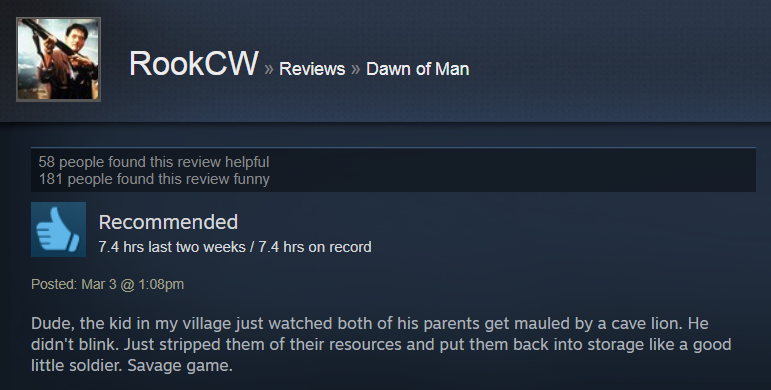 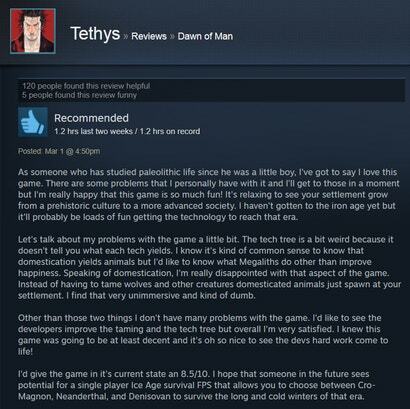 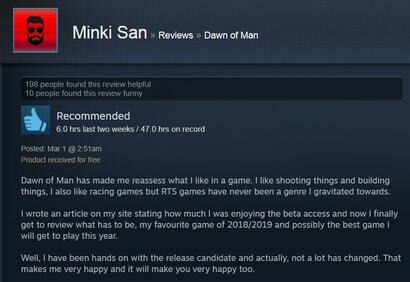 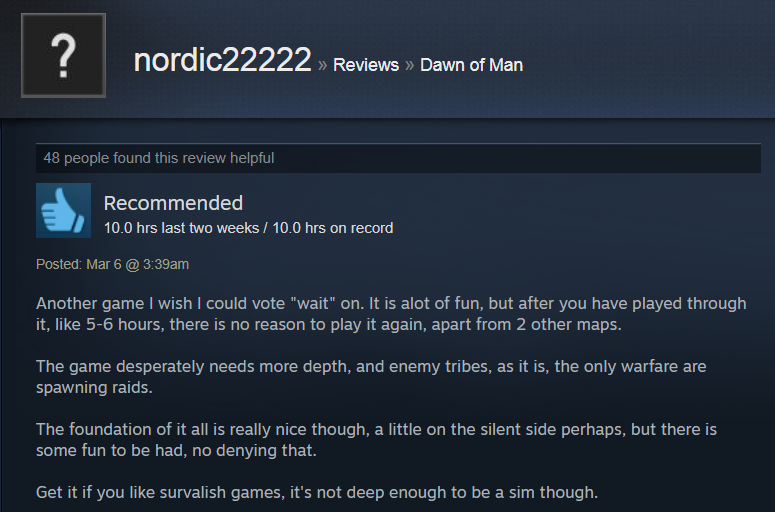 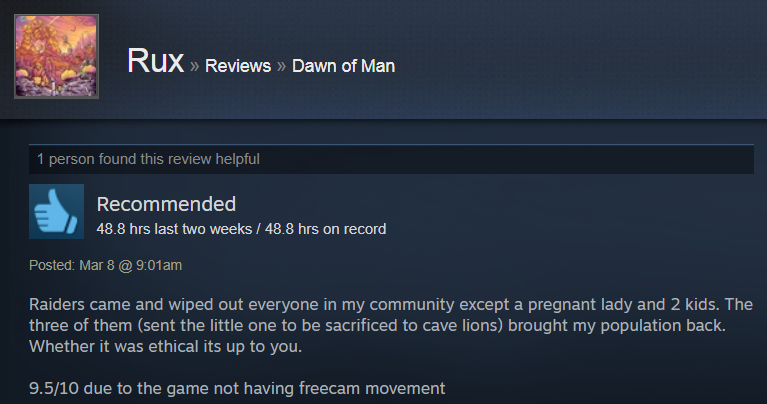 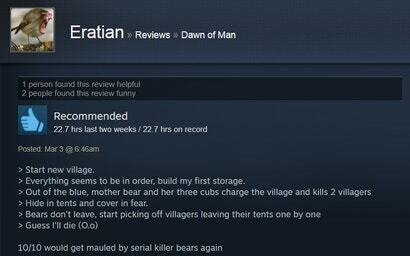 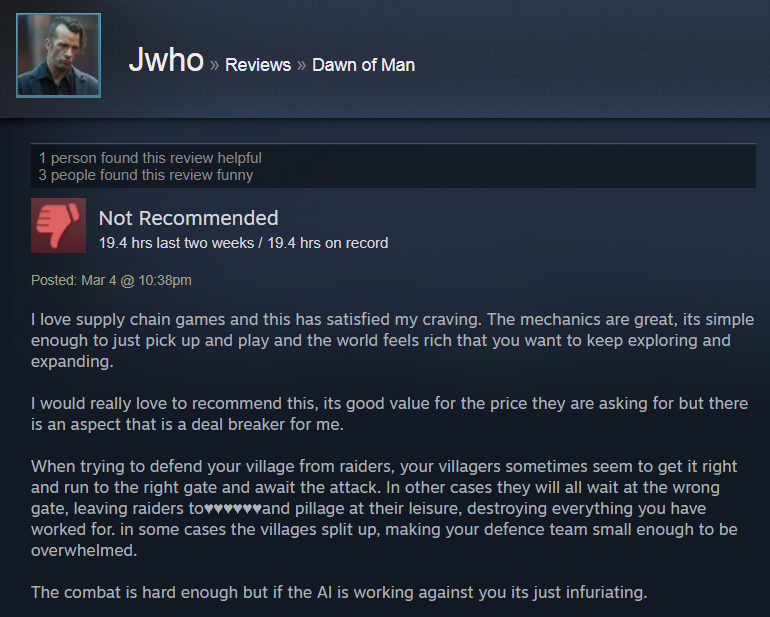 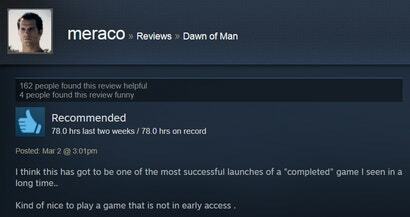 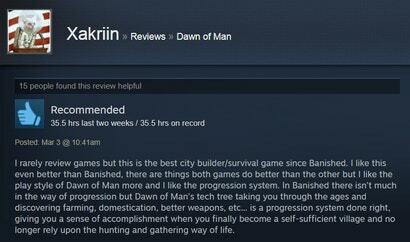 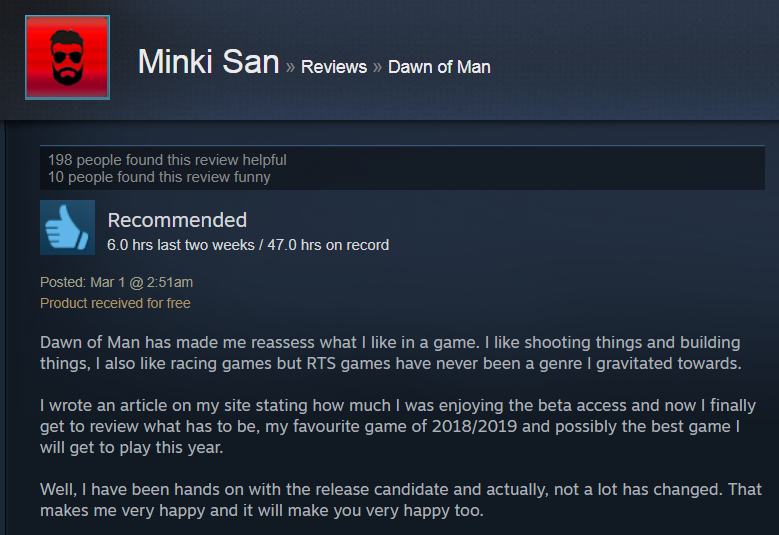 Dawn of Man came out a week ago and has been one of Steam’s top sellers ever since. 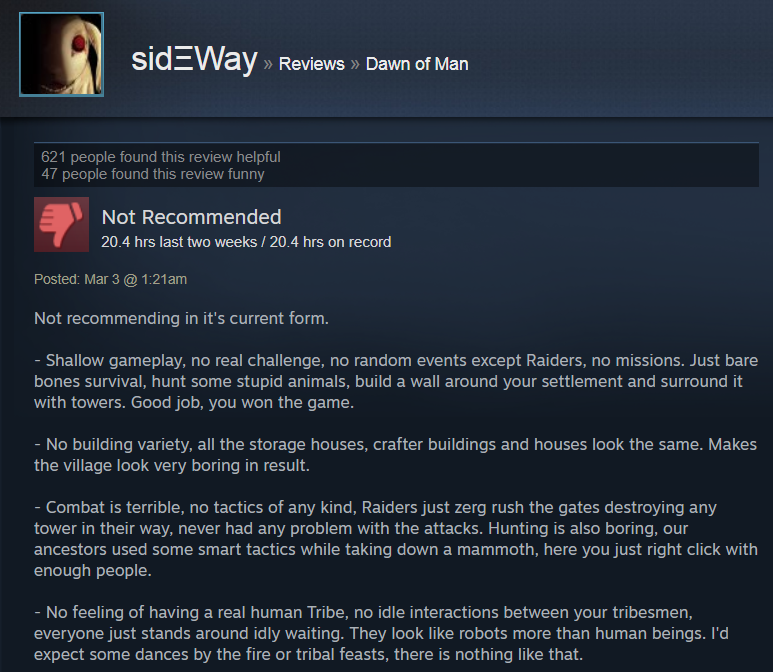 In it, you try to shepherd a small civilisation of ancient humans through the ages, hunting, gathering, crafting and researching all the while. 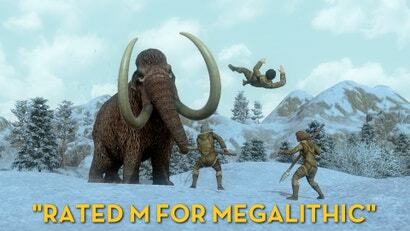 You also try not to get mauled by bears or gored by mammoths. 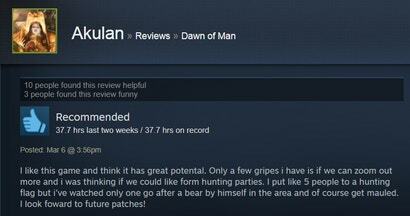 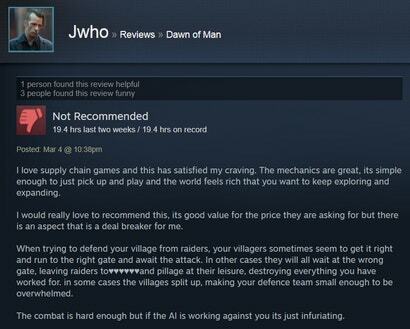 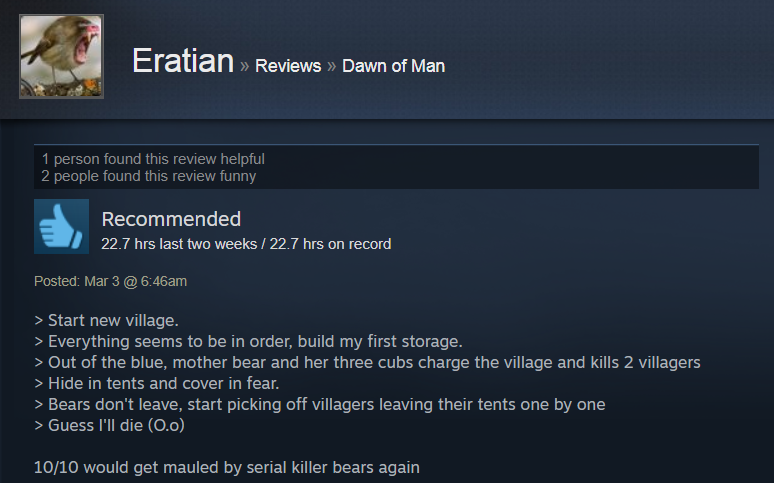 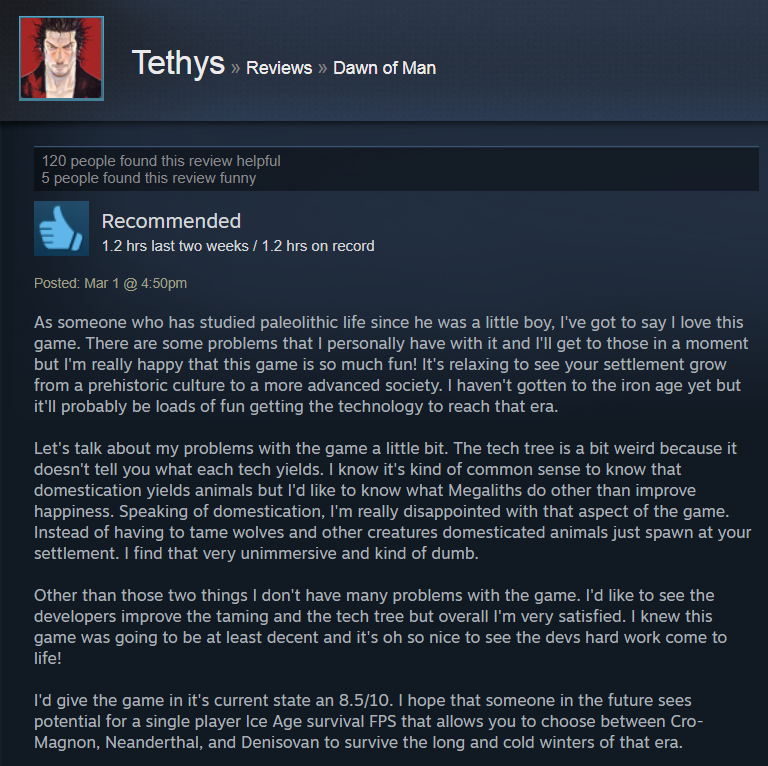 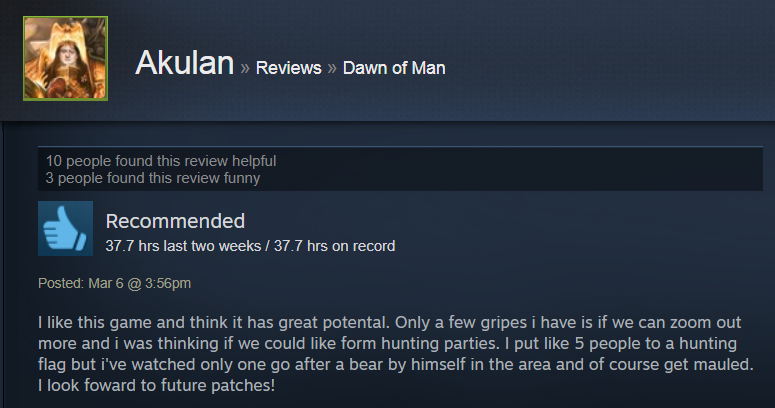 Times were tough in the prehistoric days, before we invented medicine, sophisticated agriculture and also history, and players say they love Dawn of Man because of the satisfying ways in which things can go both right and disastrously wrong. They cite everything from a detailed progression system to murderous cave lions as positives, though some say the game doesn’t have quite enough depth to live up to its ambitious scope.